Offbeat Oregon In … Lincoln City? The treasures start with a wide, sandy beach, rocky tidepools, and a rolling surf. 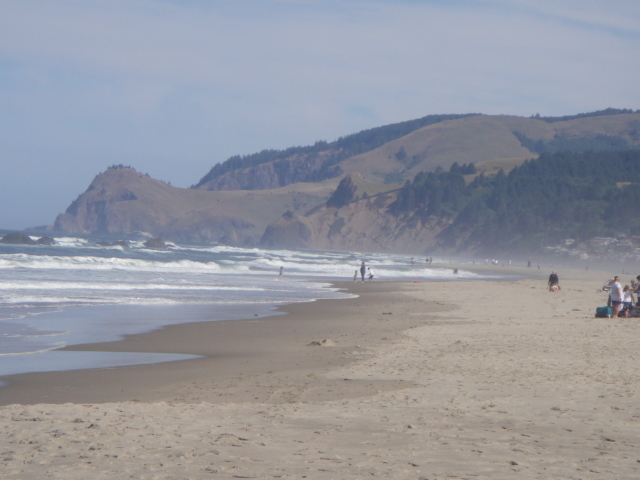 Of course, you get those everywhere on Oregon’s coastline, which is totally open to the public (thanks to Governor Oswald West, who declared it so in 1913.) In town, I start with the remarkable Jennifer Sears Art Studio. From the sidewalk I can see someone with gloved hands holding a long tube with hot molten glass at the end, turning it in an open, roaring furnace. An expert glass blower? No, it’s a tourist, creating his own glass float. For $65, anyone can, with the help of an artist, make a piece of glass art to take home. 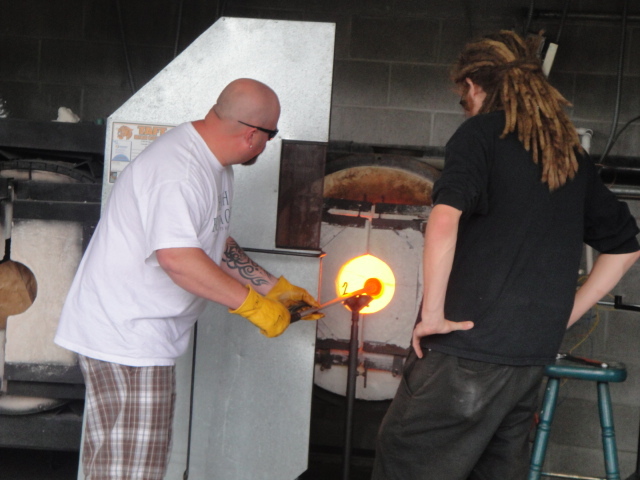 The studio also sells artists’ glass creations. Next I drop anchor at the Historic Anchor Inn, another offbeat place of charm. To say this little inn has a sense of nostalgia doesn’t begin to describe it. 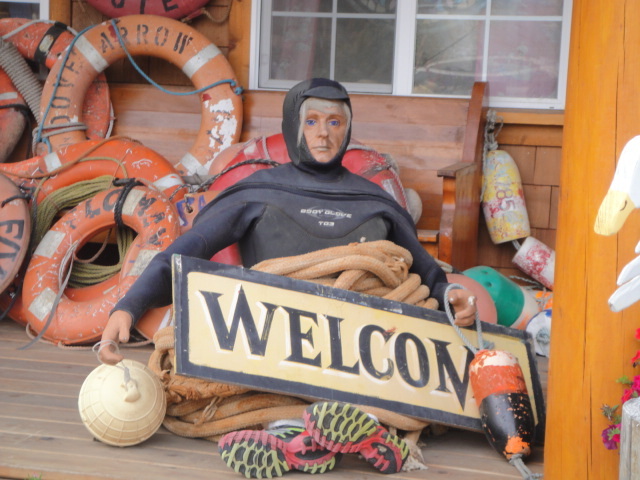 The front porch holds maritime memorabilia and a diver mannequin with a welcome sign; inside, dozens of posters of 1940s movie stars grace the walls. From the lounge ceiling hangs a life raft, a canoe, and an upside-down bicycle, along with a few hundred other things. 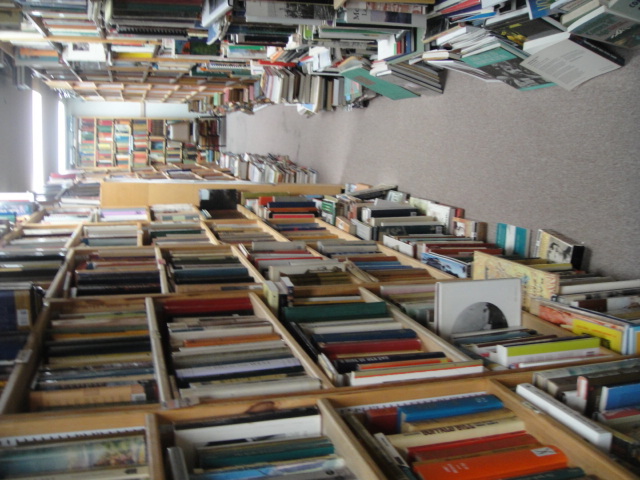 Books cram the shelves, copper pots glint on the fireplace. I’d stay here just to soak up the atmosphere. However, we’re lodging at the cozy Sands Condos, on the north end of town. The rooms are clean and comfortable, we have a fine ocean view, and we’re welcomed by cheerful, smiling Lynn, the capable manager. Lincoln City has some good restaurants. I’m told that Mo’s is still serving classic chowder, and for the best in the sausage realm go to Beach Dog Cafe. For me, the top two spots are Blackfish Cafe and Fathoms. Needless to say, I’ll be back to Lincoln City. This is the stuff that keeps Oregon unique. On most hikes, your reward comes at the end–a fabulous mountaintop view, amazing waterfall, whatever. At Tumalo Falls, you get dessert first. I’ve hardly started up the trail when wham, I’m staring at a thundering fall of water that drops 97 feet (or 131 feet, depending on who’s doing the measuring) into Tumalo Creek. It roars and glitters in the afternoon sun, an impressive sight. This is just 12 miles northwest of Bend, in the central Oregon Cascades. Some people never go further than the viewpoint. 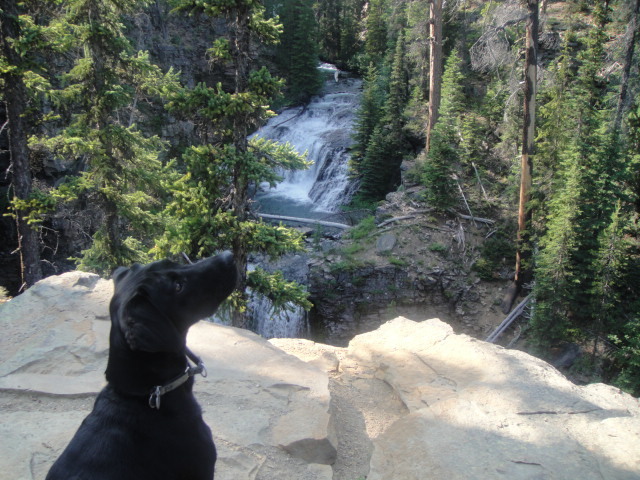 But we’re ready for a hike, and the black lab, Teva, is more than ready. Stop staring at the scenery and let’s go! she barks, tugging at the leash, eager to be on the move. So off we go, zigzagging up the hill on a forest trail. 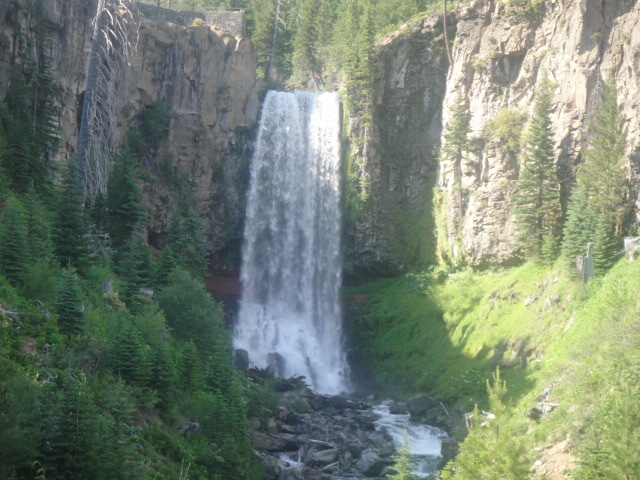 Tumalo Falls is just the beginning to a beautiful climb past pine and hemlock trees, red-barked manzanita, and wildflowers. We’re breathing pine-scented air and a few smoky wisps from distant forest fires. This area of Deschutes National Forest was burned in a fire in 1979, but now, except for some dead snags, it’s green again. The stream gurgles along as always, with riffles and falls splashing over the rocks, on its way toward the long waterfall that is now behind us. Other hikers, not many, are out on this summer day, and a few mountain bikers puffing their way up the sometimes-steep grade. They’re allowed to pedal up, not down (connecting trails loop back). Just watching them tires me out. A short walk takes us to an overlook at the top of Tumalo Falls, where we’re mesmerized by the curtain of spraying white water. Gazing is brief, with Teva bouncy again, and we continue for another mile-plus before turning back. Another day when we have more time we’ll go further, to Happy Valley. A future hike, Teva agrees. There’s a $5 day-use permit, unless you have a forest service pass. Dogs should be leashed or under tight control. There are well-maintained toilets near the smallish parking lot, and a picnic area. 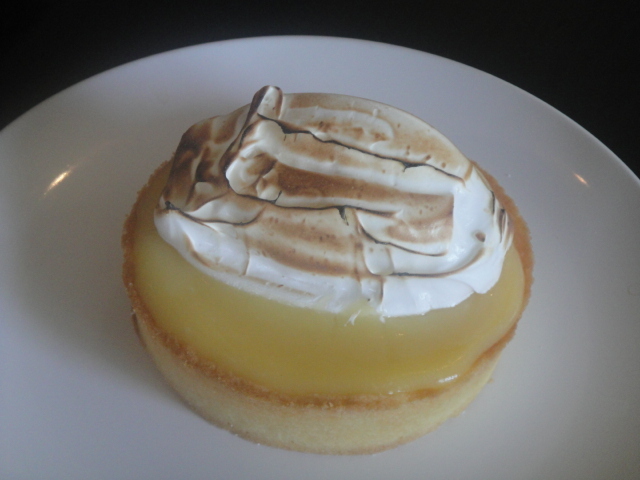 Next on the agenda this time is a stop at The Sparrow Bakery for Ocean Rolls, almond croissants, and a take-home lemon tart for dessert. Sparrow, also a deli, is one of Bend’s great assets, serving delectable sweets and savories to a constant stream of customers. To get to the Museum of Glass, in Tacoma, Washington, I’m told I have to cross the Chihuly Bridge of Glass. That’s intriguing. A glass bridge? Isn’t it kind of, um, fragile? I’m staying at the Marriott Downtown, across Pacific Avenue and a block or so from the museum, so I trot over and look for the bridge. I find it up the stairs from the plaza where the Washington History Museum, Tacoma Art Museum, and Union Station are located. There it is, 500 feet long, a covered pedestrian bridge high above the I-705 freeway. Happily, I’m not walking on anything breakable. The glass part is in the ceiling, where at least 20 panels are filled with shapes that resemble undersea life–kelp, jellyfish, octopus–in brilliant blues, yellows, greens and reds. The sides of the bridge have display windows, each holding a stunning piece of art glass. A strange-looking building stands on the other side of the bridge. 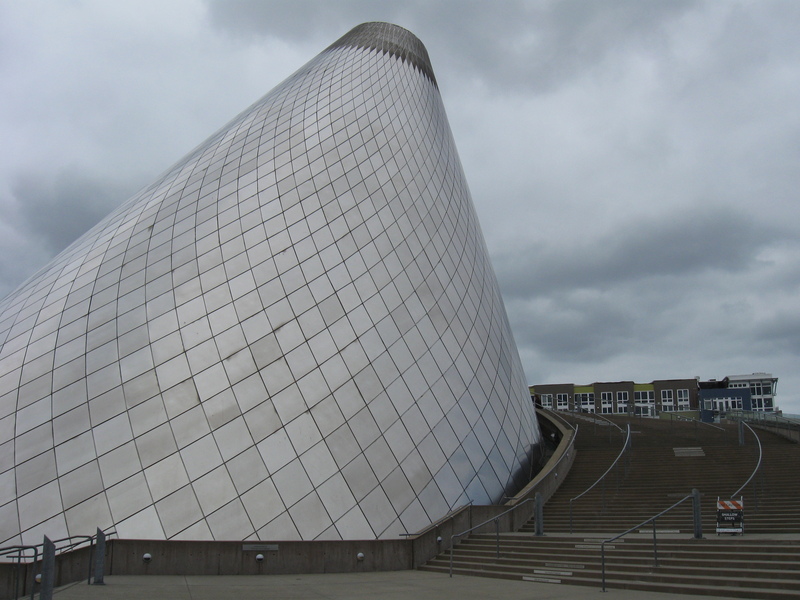 It’s the Museum of Glass, a giant, tilted cone on a broad plaza by the water, with pools and glass sculptures. Inside are galleries of changing and permanent exhibitions showing amazingly creative glass art works. One gallery has pieces designed by kids and made by the Hot Shop Team. More glass sculpture in astonishing shapes is on showcased in the nearby Tacoma Art Museum, and yet more in Union Station, a former railway station that is now a federal courthouse and historic landmark. 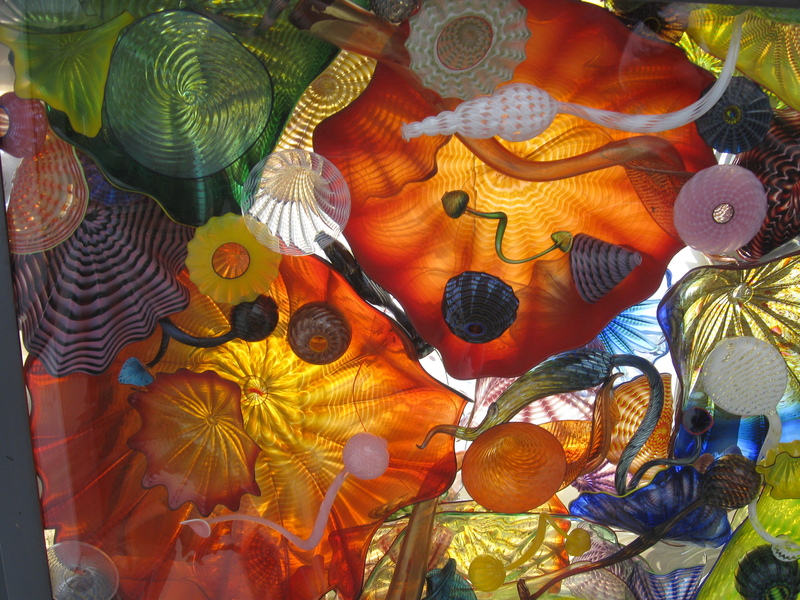 Tacoma, south of Seattle on Puget Sound, has become a center for glass art because of one Tacoma native, the world-renowned glass artist Dale Chihuly. Chihuly led the contemporary movement toward large-scale, handblown works and the recognition of them as significant art. The Museum of Glass is open 7 days a week in summer. It’s closed Mondays and Tuesdays the rest of the year and some holidays. Admission is free for museum members, $12 general, $10 seniors and students, $5 children 6-12, and free if you’re under 6. It’s free to everyone the 3rd Thursday of the month from 5 pm to 8 pm.